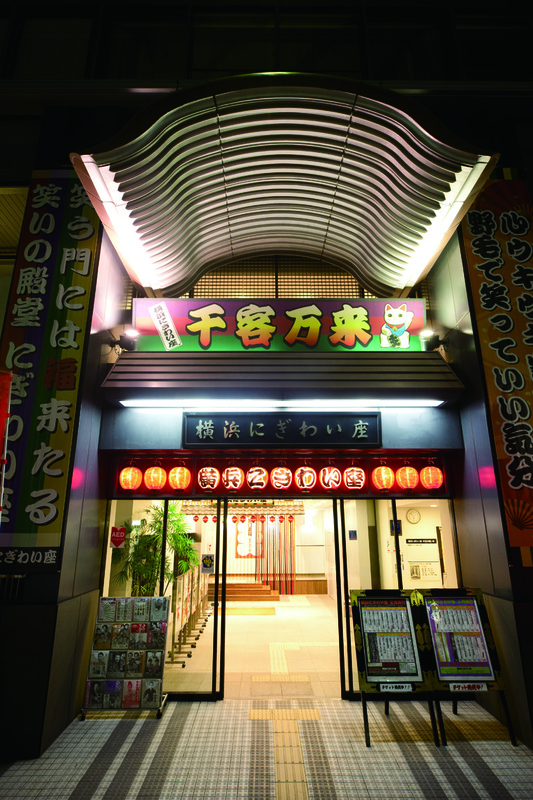 Do you know a story about traditional popular performing arts of Japan? 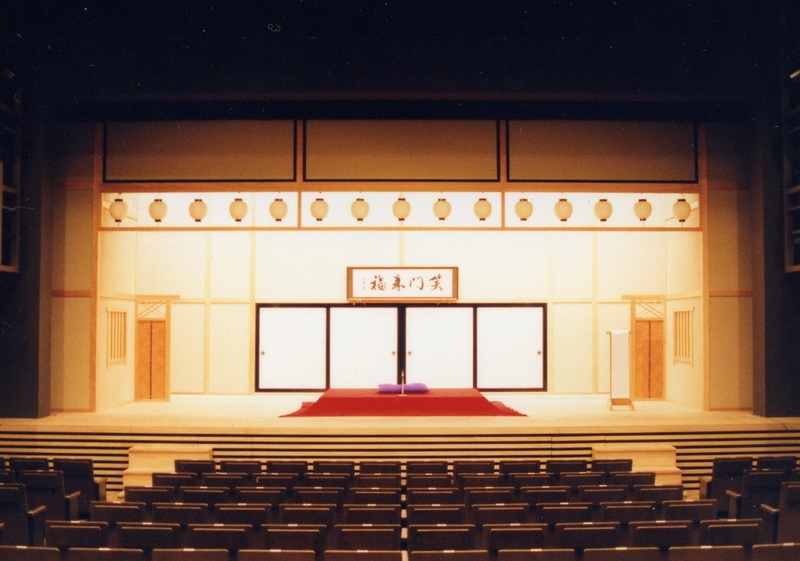 Japanese popular performing arts include a wide range of styles such as Kabuki (traditional Japanese drama which follows highly-styled forms and takes up stories with popular appeal), Noh play（classical Japanese play）, traditional singing such as Nagauta (traditional chanting to samisen accompaniment), and variety-show entertainment such as Rakugo (traditional comic storytelling), Manzai (stand-up comedy) and conjuring tricks. Yokohama has been served as a gateway to foreign cultures since 1859 when its port was opened for foreign trade. At the same time, popular entertainment culture has been fostered by the people who came to live in this port city, thus many talented artists have been produced. There used to be many playhouses and vaudeville theaters in Yokohama, but most of them were lost in the fires of the Kanto Earthquake (1923) and the air raid during the World War II (1945). However, a big public entertainment festival called “Noge Daidougei” (Noge Street Performance) was started in 1986 and has been firmly established since then, as a big event which brings over seven hundred thousand audience. In this way, Yokohama has its own firm groundwork to cultivate its characteristic popular entertainment culture. Yokohama Nigiwaiza is working for the further promotion of the unique popular performing arts in Yokohama, and also is sending its great culture out to all over Japan and to the world. Mainly for the public performance of the variety-show entertainment, Japanese dance, traditional singing, a trio of Japanese musical instruments, koto, samisen, and shakuhachi. 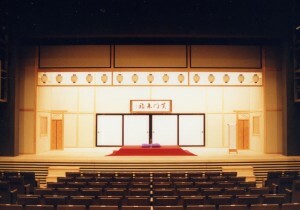 The stage and the audience seats are designed closely. Audience is allowed to eat and drink in the seating. A room for parents and children is equipped. Wheelchair space available. Relayed broadcast from the stage possible. Designed for rehearsals of street performances such as monocycle and juggle, popular theater. Also suitable for small-scale public performances. Equipped with lesson bar, mirror and woody floor which is suitable for dance practice. Small room equipped with desks for handicraft and watering space, to support offstage production such as making settings and props, and costumes for theater. Guidance and information on the facilities for customers, dealing with users’ applications. Information on performance schedule and popular entertainment are also available. Three minutes’ walk from Sakuragi-cho station (JR Keihin-Tohoku Negishi Line, or Yokohama City Subway). Twelve minutes’ walk from Bashamichi station (Minatomirai Line).Seven minutes’ walk from Hinode-cho station(Keihin Kyuko Line). Copyright © Yokohama Nigiwai-za. All rights reserved.